Your Child CAN Succeed in School! Our tutoring services are consistent with Direct Instruction, an instructional approach validated by decades of educational research. Tutoring materials are provided for EOC prep. Lessons dovetail with the Sunshine State Standards. Services are provided by highly qualified tutors. SAT and ACT preparation available. The Direct Instruction (DI) model with its highly-structured approach is used. Tutors use curriculum materials and instructional sequences to move students to mastery at the fastest possible pace. Although the early mastery of basic skills is a key element, the program also addresses students’ general comprehension and analytical skills. If your child is functioning at the bottom half of the class, our main goal is to get your student to the top half of the class – on or above grade level. Despite everyone else’s best effort and intentions, something’s not working. If this sounds like your situation, let us help! Diagnostic Testing to accurately determine each student's needs. Reading, Spelling, Writing, and Math Instruction. For more information, see the links below. 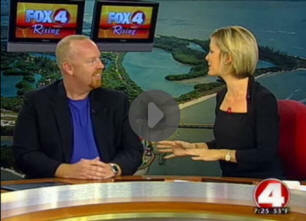 Director Kevin McGinnis was featured on Fox 4 Rising, sharing ways you can help a struggling student. Our focus is with students in grades K-12. Algebra 1 EOC (End of Course) Exam and Geometry EOC Exam. We also offer SAT and ACT preparation instruction for high school students.